Michael W. Rüger is a Partner at Roland Berger's Berlin office. He joined Roland Berger for the first time in 1994 and became a Project Manager. In 2017 he returned as a Senior Partner. 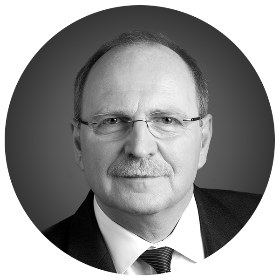 Michael has many years of global consulting experience in the automotive, supplier and engineering industries. He has specialist know-how in the strategic orientation of companies, capability-driven operational excellence, business restructuring and transformation processes. He holds a degree in Industrial Engineering from the University of Karlsruhe. "Operations capabilities are essential to achieve ambitious targets and to successfully implement corporate strategies."